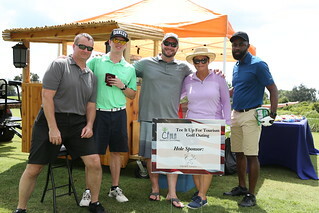 The CFHLA Political Committee's annual "Tee It Up for Tourism" Golf Outing and Luncheon fundraising event occurred on Thursday, September 20 at Celebration Golf Club (701 Golf Park Dr. Celebration, FL 34747). The funds raised during this exciting event will provide the CFHLA Political Committee with necessary resources to identify and support "pro-tourism" candidates for local and statewide elected office. During the Luncheon, a Keynote Presentation was made by State Representative Rene "Coach P" Plasencia, Florida House District 50. For more information relating to this event, please contact Rico Pasamba - [email protected] / 407-313-5035.